Believers Eastern Church Satgaon Mission Diocese of Lanka in Hojai district of Assam conducted a two-day fund-raising campaign at Bokolia, Langhin and Dokmoka town on August 21 and 22 in aid of the people affected by the current spell of devastating floods in Kerala, a press communique stated. As per the press communique, a team from Believers Eastern Church Satgaon Mission Diocese under the leadership Father Thanghao holding placards and banner with a message ‘An Appeal For Kerala Flood Relief’ mobilized funds for the flood-affected people of Kerala by visiting various shops, vendors and some other parts of the town as part of the two-day long fund-raising campaign. 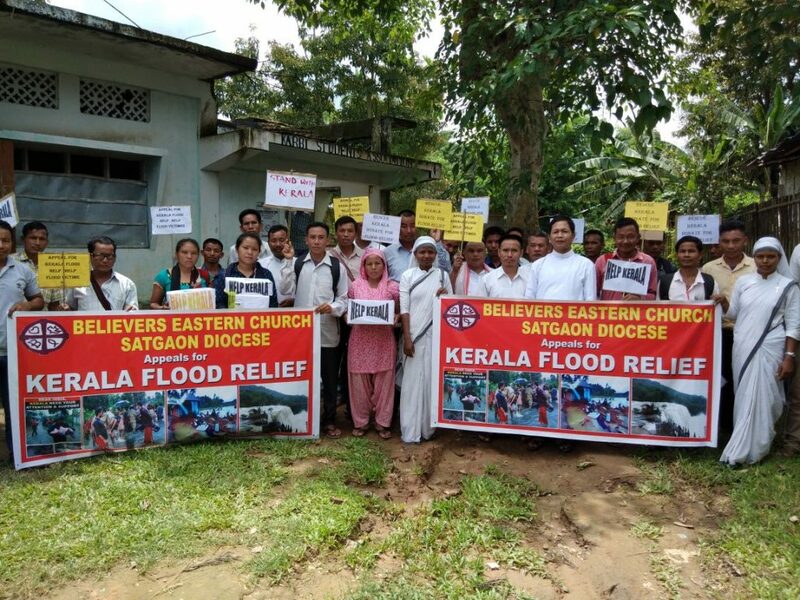 In a statement, Father Thanghao said as the Kerala is reeling under flood havoc, hundreds of people have already lost their lives, bearing those pain Believers Eastern Church Satgaon Diocese have come forward to support the people of Kerala in this time of adversity. 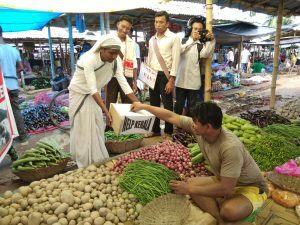 He said funds raised through the two-day long campaign, along with relief material, will be sent to Kerala government’s flood relief fund for distribution among the flood victims in Kerala. He also expressed deep gratitude for each one who contributed generously for this noble cause and who voluntarily came forward in support of this campaign.